Click here to visit the Airwick site and register. Then click here and fill out the form to enter their sweepstakes. 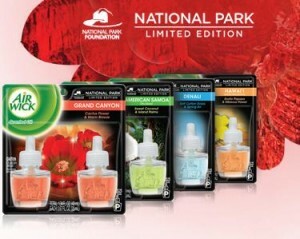 There will be a total of 500 winners selected for a a scented oil warmer and four (4) scented oil fragrances from the Air Wick National Park Collection including Grand Canyon, Denali, American Samoa and Hawaii. You can enter daily through April 9th. Winners will be notified via email. Good luck!